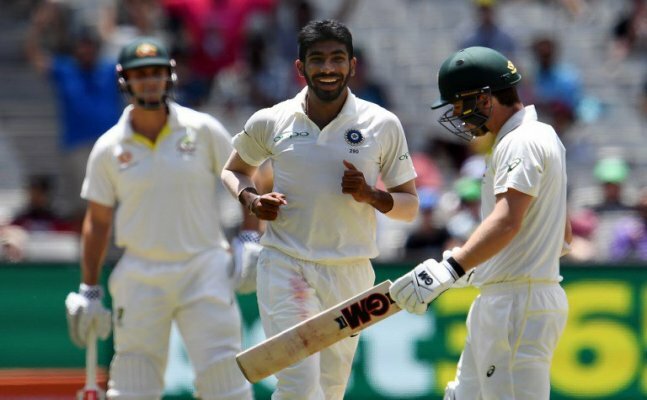 Right Arm Fast Bowler Jasprit Bumrah tore the Aussie batting line-up apart, grabbing six wickets and conceding only 33 runs to give India a great start in their bowling command. The 25-year-old is the only Asian bowler to pick up five-wicket hauls in Australia, South Africa and England in the calendar year. Despite taking a 292-run lead in the first two tests, India chose not to enforce the follow-on in the 3rd Test of the series. The batting order has faltered in the first place, scoring just 54 with five wickets remaining, one of them which skipper Virat Kohli was gone for a duck. However, they still lead the series with 346 runs on the trot. India had declared a score of 443 with three wickets remaining on Thursday. Australian openers, Marcus Harris and Aaron Finch have started well in their order, until the mix of pace and slower ball delivery, made by the man himself have damaged the batting lineup of the hosts. Ishant Sharma was, in fact, the first to have done the damage when he dismissed Finch in the fifth over of the day. Meanwhile, Ravindra Jadeja and Mohammad Shami have joined the bandwagon when both spinners picked up 2 and 1 wicket to sum up the day for India’s best bowling bits at Melbourne on Boxing Day.